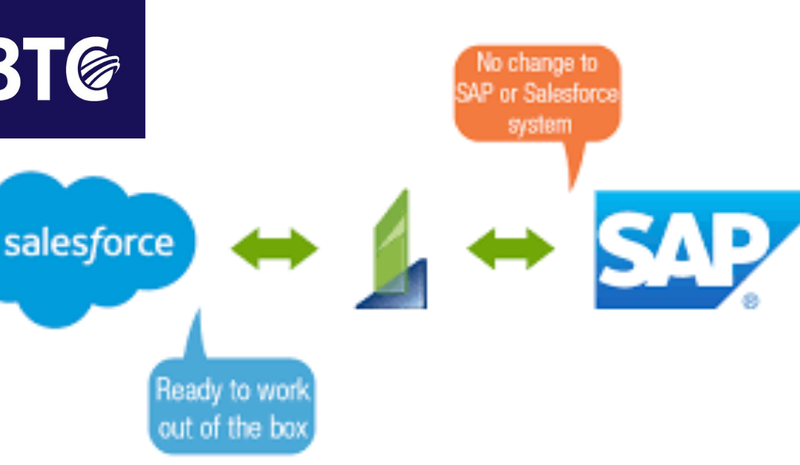 Why connect Salesforce CRM and SAP Business One ERP? Salesforce CRM is an essential tool for your Pre-Sales and Marketing team who has access to a Cloud Portal to register Leads and Customer, Generate Orders, Quotes, etc. which they can operate anytime and even on the go. SAP Business One has a B.P Master Data which has options to store Leads and Customer Information, but ERP is not meant for CRM Operations and that’s why B.P Master Data offer very fewer features apart from storing Lead and Customer Information. Now, you can easily sync customers and contacts between Salesforce and SAP Business One. By connecting Salesforce and SAP Business One, you can use both CRM and ERP effectively for your business operations, instead of worrying about the data exchange, duplicate data entry and availability of data in another platform.